ZAWIYAH, Libya: Maria was 24 and pregnant with her second child when she gave people smugglers every cent she and her husband had ever saved and left their homeland of Liberia. The couple and their three-year-old son passed through Guinea and Mali before travelling across southern Algeria. Then they endured a brutal journey across the Libyan desert, where they watched people die of thirst. 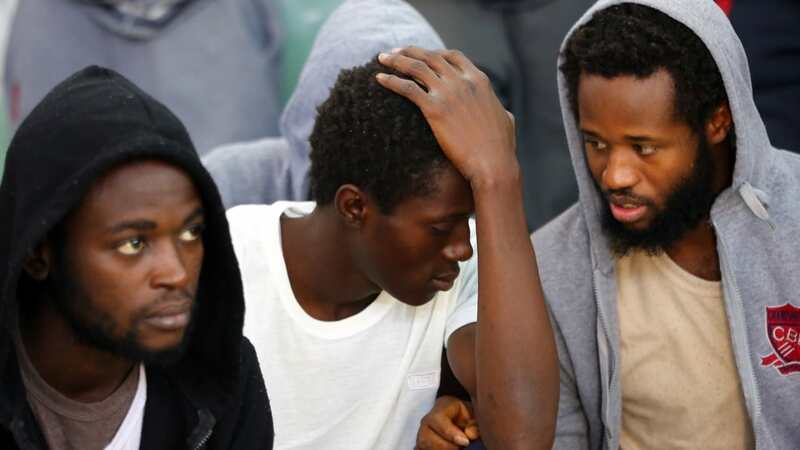 But when they finally boarded a boat in Libya, bound for Europe, their dreams disappeared as fast as the $US2150 (2000 euros) they'd paid their smugglers. "We spent four days in the desert. People died of thirst and the sun in the back of the truck." The family finally arrived on a beach at Sabrata, 70km west of Libya's capital, Tripoli, a key departure point for migrants who risk the perilous Mediterranean crossing to reach Europe. There, they boarded an inflatable boat but the voyage was short lived. Their flimsy craft was intercepted by the Libyan coastguard and they were escorted to a detention centre in Zawiya, a port town between Sabrata and Tripoli. It was there that Maria gave birth. 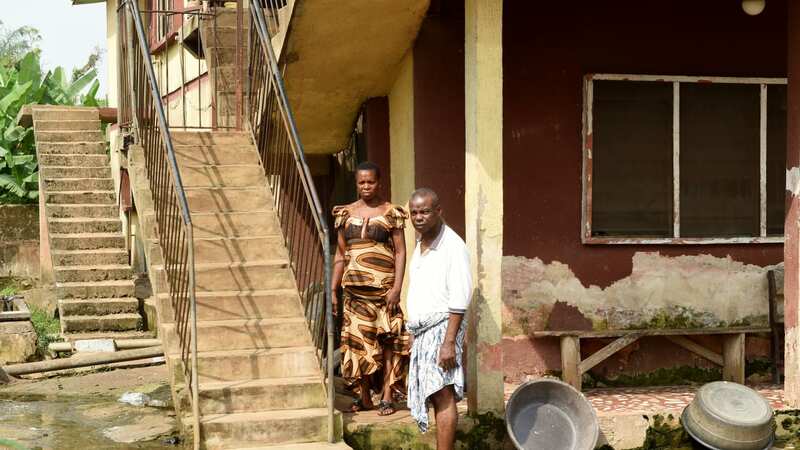 Today, she is locked up with her baby and son, along with 20 other women and children. Her husband is detained in a cramped cell nearby with dozens of other migrants. Their story is similar to that of thousands of sub-Saharan migrants who make desperate attempts to reach Europe via lawless Libya. The country has become a major transit point for migrants looking to cross the Mediterranean with between 700,000 and a million people in Libya awaiting their chance, according to the UN's International Organization for Migration. Libya also has more than two dozen reception centres where migrants are detained in appalling conditions. Smugglers operate openly in the chaos that has emerged since the fall of longtime dictator Muammar Gaddafi in 2011. Moussa Ouatara, 29, headed to the North African country from his native Ivory Coast. 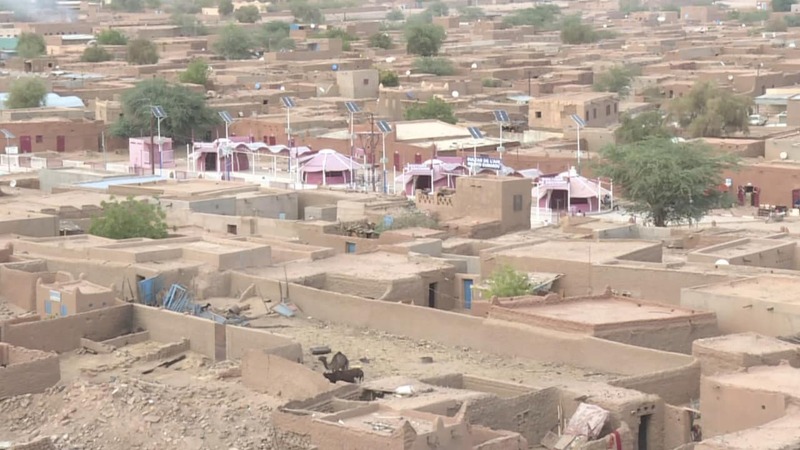 He had to pay $US195 (180 euros) to reach the transit point of Agadez in Niger's central desert, then a further $US490 (460 euros) to reach Sabrata with a group of other Ivorians. He too tells of a harrowing journey across the Libyan desert. "There were deaths," he says. "They died of hunger and thirst. There was no water or food." After paying another 230 euros ($US255) to cross the Mediterranean, his boat was intercepted by the Libyan coastguard, who took him to Zawiya. "I haven't got any money for another crossing attempt," Ouatara says. Abu Bakr Mansary from Sierra Leone spent several months in the Libyan desert towns of Sebha and Gatroun, transit points for many clandestine migrants from sub-Saharan Africa. The 23-year-old worked there to save up for his crossing attempt but his journey ended when the inflatable boat he boarded with dozens of other migrants suffered a puncture. He clung on for 17 hours before being rescued by the coastguard. "It was not easy, it was really crazy," Ouatara says. The head of EU border agency Frontex in February criticised charities for rescuing migrants ever closer to the Libyan coast, saying this encouraged traffickers to force ever more migrants onto unseaworthy boats. Fathi al-Far, who runs the reception centre in Zawiya, says rescue boats operating between Libya and Italy's Lampedusa island were helping smugglers and making crossings even more dangerous. "The (migrants') boats no longer have to last 24 hours so they can reach Lampedusa, as in the past," he says. That has prompted smugglers to use cheaper, flimsy inflatable boats, putting migrants at even greater risk. The lower costs have also slashed the price migrants pay for a crossing, encouraging more to try their luck. In April, an Italian prosecutor was quoted by Italy's La Stampa newspaper as saying charity-run boats rescuing migrants are colluding with traffickers in Libya. Sicily-based Carmelo Zuccaro says there is evidence of "telephone calls from Libya to certain NGOs, lamps that illuminate the route to these organisations' boats (and) boats that suddenly turn off their (locating) transponders". Marouane, a 26-year- old Moroccan, says he was saved from "certain drowning" on a crossing attempt weeks ago. He's "seen death" at sea after his boat started taking on water but is determined not to give up. "As soon as I'm out of here, I will set off by sea again for Europe," he vows.